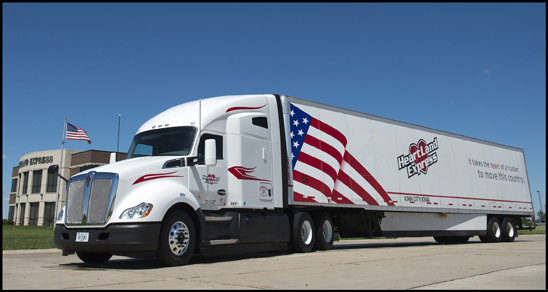 NORTH LIBERTY, Iowa, Nov. 8, 2017 – Heartland Express, Inc., headquartered in North Liberty, Iowa, serves customers throughout the United States with award-winning excellence. One of North America’s largest carriers, Heartland has been recognized 18 times by Forbes Magazine as one of the Top 200 Best Small Companies in America, as well as being ranked by Logistics Management Magazine 13 times as one of the Best Truckload Carriers in America. “Receiving these recognitions is a testament to the people at Heartland who make it happen every day, especially our drivers who deliver the freight safely and on time,” said Heartland CEO Michael Gerdin. 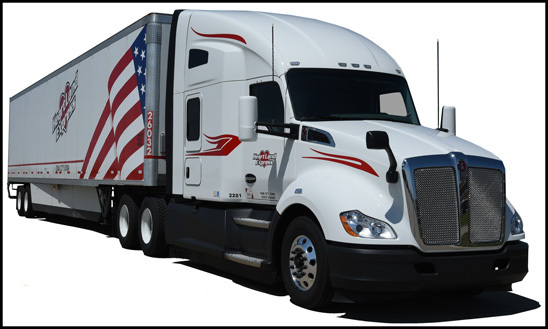 To help attract and retain the industry’s best drivers, in 2016 Heartland purchased more than 500 brand new Kenworth T680s – The Driver’s Truck. The fleet’s new model Kenworth T680 76-inch high-roof and mid-roof sleepers, powered by PACCAR MX-13 engines, provide superior performance, reliability and driver satisfaction. During a special ceremony last year, Gerdin rewarded his top drivers with the keys to the company’s first, newly-delivered 2017 Kenworth T680s, demonstrating Heartland’s highest regard for the quality and comfort of Kenworth. With a 4,000-truck fleet, Gerdin said running top quality equipment is key to the company’s success. “Uptime is the biggest issue for us when we select which trucks to purchase,” he said. “Without a doubt, we haul a lot of time-sensitive freight.” Heartland was recently named Carrier of the Year by FedEx for fiscal year 2017, with 99.97 percent on-time service on more than 32,000 loads. The hauler has received similar awards from other major customers, including BP, Pepsico, Sam’s Club and DHL. Founded in 1978 by Michael’s father, Russell Gerdin, Heartland’s vision for success has never wavered. By employing the best people and maintaining a quality, late-model fleet, the company is committed to supporting customers with the highest level of service. It’s why top shippers depend on Heartland Express for reliable, on-time service. In turn, Heartland relies on its drivers – who are well known to be among the best in the business – to help exceed customer expectations. With an average driver experience level of more than nine years, the company consistently delivers on-time results with the help of Kenworth T680s.